If anyone does not believe that K-12 education policy and the new emphasis on “personalized learning” are actually about achieving the vision of the above quote that dovetails with the previous essay on “A Progressive Perspective on Freedom of Speech,” read this inviting “progressives normatively [they set the new rules but do not bother to tell us] to clarify the forms of participation that they believe are essential to a healthy public sphere.” Last week President Obama’s FCC announced its intention to regulate the Internet in the name of net neutrality. Want to guess how the progs illustrated that desire to clarify the new terms of participation and debate? “In the coming decades, issues such as net neutrality or the installation of centralized (versus decentralized) filters will hugely impact the precise ways in which the Internet will contribute to the formation of public opinion. Progressives will need a convincing normative vision [remember the experiential Right Brain that is the new focus of K-12 education adores narratives] of a healthy public sphere in order to assess the constitutional implications [little c, as in constitution of society and maybe that other little c] of potential government interventions. They will need this vision as much to shape a progressive regulatory policy as to litigate for the maintenance of progressive constitutional rights.” [No more negative liberties in other words. Look up FDR’s Scond Bill of Rights]. We get a glimmer of what is really going on in what the new Conceptual Frameworks in AP US History are actually designed to do. I covered that in depth in a trilogy starting here http://www.invisibleserfscollar.com/mischievous-masquerade-apush-as-the-sought-coherent-framework-justifying-intervention-in-history/ I also address the function of critical theory and why it is also called Cultural Marxism in Chapter 5 of my book. This recent controversy http://www.dallasnews.com/news/community-news/park-cities/headlines/20150128-highland-park-isd-parent-calls-book-socialist-marxist.ece illustrates that high school coursework across the country is now training students to apply conceptual lenses like poverty, race, gender, sexuality, etc. in how they interpret the world. That’s a First Amendment that has done a 180 and intends to protect only the forms of speech and association that fit with the desired transformative vision. Anything else and the motto is gather data, resculpt, and infringe away. The parents still think this is all about the best way to transmit knowledge and many businessmen still believe they cannot find able employees despite the K-12 system trying really hard and doing its best. Neither is true and it hasn’t been for a while. One of the many taxpayer-funded trade groups doing its part to advance the prog view of future American society and reshaping the mind of the citizen is the American Library Association. In fact, its Association of School Librarians has even created Standards for the 21st-Century Learner http://www.ala.org/aasl/standards-guidelines/learning-standards and a helpful crosswalk to the Common Core. Category 3 is that “Learners Will Use Skills, Resources, & Tools to Share Knowledge and Participate Ethically and Productively as Members of Our Democratic Society.” I do believe that is called picking a dog in the fight. Especially given AASL’s constant focus on pushing Inquiry-Learning, which of course, MUST be experiential. It also prescribes desired student “Dispositions in Action” repeatedly as part of its Learning Standards. Students are also told to “show social responsibility by participating actively with others in learning situations” and not just turning to a book they love or refusing to volunteer the excellent vocabulary their parents diligently built up over the preschool years. Not exactly consistent with those 21st Century Learning Standards is it? See what I mean about parallel tracks? At the same time that the ALA tries to portray challenges to the slant in curricula as akin to the right of citizens to “take the government to court” and “use the words from the First Amendment to prove that the government has violated their rights,” the ALA itself is actively involved in helping to resculpt the student’s internal mental structures and values, attitudes, and beliefs. In violation of that same First Amendment they claim to be a defender of. Maybe so, but the first allegiance is clearly to advancing ‘democracy’. That booklet called it the “form of government where all people are heard,” which sounds remarkably like the prog vision of the public sphere above. In fact, the 2020 book asserted that redistribution of wealth and interference with private contracts are now acceptable as long as the minority can complain in a public forum about what governments are doing. Legitimate practices as long as there is an opportunity to participate and try to sway public opinion sounds remarkably like the ALA’s assertion that democracy cannot “work if all people cannot express themselves and talk to one another to make informed choices.” Sounds like John Dewey’s participatory democracy to me that we are seeing advocated for now at the local level as a forum for binding decision-making as long as all Stakeholders are represented. This is a self-confessed March through the Institutions that is proceeding on a Parallel Track. Let’s not take any groups’ word for what our rights and obligations are. Always look for the conflict of interest. We really are engaged in a cultural war over the constitution of our society. The law and K-12 education are primary battlefields. None of us have to accept a claim that we are violating Intellectual Freedom by accurately pointing all this out. Let’s pretend for a moment that we are all in the same room mulling over why K-12 education is shutting down what works and expanding everything that has ever been controversial or even tragic. We could get out a White Board and pretend to be detective Kate Beckett on the TV show Castle and create columns of what concerns and mystifies us. Concrete, Down to Earth, Tangible Concerns. Then later as I am researching and footnote hopping, I read the title of a 1966 book called The Social Construction of Reality. I remember that White Board and how no one wants to allow Declarative Knowledge anymore (defined in previous post) that would accurately allow me to factually understand the Here and Now. In fact, we have been noticing that everything to be required in the classroom now seems to be about guiding personal perception of what is actually going on in the here and now. Filtering how we conceive the who or what caused all the problems we are to now notice. We keep wondering why all the focus on emotions and showing your work instead of getting a right answer and making activities and experiences the point of classroom work. To quote again from The Parallel Curriculum book from two posts ago, when did we switch to reading a historical fiction book so that we can imagine how it must have felt to be alive during a time period like the Civil War? Is that history? How about if we use the book to “document the feelings, perspectives, and changes that occur for your characters over time.” That’s not factual knowledge. It’s simply priming the student to accept that a change in conditions could be a reason for personal change. Providing the concepts to everyone then instead of each person building them up from facts is a tremendously fruitful means for psychological manipulation. Effective and largely invisible once created. What’s not to love if fundamentally transforming the here and now is the Goal, and undermining the historical Western sacrosanct treatment of the individual and the mind is the Means. Just target how that individual, while they are still young, learns to categorize their everyday experiences. Then make sure that any classroom work that previously bolstered the “ability of language to be an objective repository of vast accumulations of meaning and experiences, which it can then preserve in time and transmit to following generations” is either destroyed or seriously limited in duration and purpose. We are back to our pretend Murder Board of what’s Being Discontinued and Expanded in Education and my reading nerdy books and then translating them so no one else has to. That is how I felt reading The Social Construction of Reality. It was like getting a Treasure Map to what would need to be stopped or emphasized if manipulation of how an individual saw reality was the Goal. Why? So that their future actions could be reliably planned from afar. How we order social experiences turns out to be a crucial fact to know if someone wants to predict and control other people’s behavior. It’s also something that adaptive software in a Digital Learning program or journals or showing your work in an open-ended question where there is no right answer all reveal. Rigorous assessments of the type required by the Common Core, a Higher Order Thinking Skills emphasis , or the ‘high-quality’ tests of 21st Century Learning all ferret it out too. Coincidental? I think not as a TV detective would get to say. Keeping school work relevant to real life and everyday life situations makes the routine social stock of knowledge of the average student paramount. If school is no longer about facts, reading is Guided and not fluent, and visual presentations are considered on par with writing papers, then the typical person now exists in a place where “the reality of everyday life always appears as a zone of lucidity behind which there is a background of darkness.” Reading that passage from the 1966 book made me gasp because circumscribing personal knowledge in effect makes that zone of lucidity easy to manipulate. Later in the book, the importance of concepts and subjective categorization of experiences is mentioned as what makes us notice certain aspects of what happens and ignore others. Now imagine that the Concepts and Principles provided are deliberately chosen to have just that very effect. The Goal? To make the student and the future ‘citizen’ they will become not just amenable to fundamental transformations in society, the economy, and political structures we now take for granted like the US Constitution. The student is to come to believe that radical changes are necessary and desirable. Hopefully the student will be ready to act on conditions and problems in the here and now to make fundamental transformations a reality sooner rather than later. It turns out that a reverence for logic as in traditional math, chemistry, or physics and abstract proofs or grammar and old-fashioned vocabulary that can contain a sentence full of meaning in a single word are examples of how “language now constructs immense edifices of symbolic representations that appear to tower over the reality of everyday life like gigantic processes from another world.” Well, someone does still appreciate flowery language when they are driving home a point. Unfortunately, the point is how much preferable face-to-face interaction is, which would explain why the Common Core stresses listening and speaking and group dialogues and learning to reach that all important consensus within the classroom. Does that sound like a Competency focus to anyone else? So what’s your interpretation of why the actual planned classroom implementation under its variety of Orwellian names lines up so perfectly with how the known Social Construction of Reality by most people? Could it be an organized attempt to manipulate their future behavior as long as accurate factual knowledge is kept to a minimum? Is it politically useful to keep voters ignorant, aggrieved, and reliable in their likely reactions? So if you ever wonder why I regularly see the need on this blog or in my book to discuss the economic transformation intentions, whose theories they are tied to, and why dramatically changing education to minimize anything that bolsters the continued validity of individualism, it is not because I am the One with the proverbial Bee in my Bonnet on this issue. Education may be the means to fundamental revolutionary transformations, hopefully without violence, but it is especially the purpose of subject-matter content that had to shift. Otherwise, traditional knowledge of any sort nurtures a reverence for the world as it is and provides hard factual info that prevents fully imagining a world as it might become. What reality supposedly should look like. When all coursework quietly turns into an examination of current social conditions, it becomes important to see the past in ways that justify and help ignite the passions to change today. History not grounded to facts, but tied now to experiences, makes an important mechanism for student role-playing in alternative social worlds. Instead, of treating history and anthropology as separate subjects, that division is to be dissolved per Bender’s proposed new framework so that “peoples organized into nations, with literatures and archives” no longer have primacy over “all differently organized peoples.” There’s a good reason, in other words, why the NAACP and La Raza are so excited by the Common Core as a vehicle for transformative broader social change. Now let’s dive into elementary, middle, and high school classrooms to see precisely how classroom activities get reimagined to guide perceptions, nurture current grievances, heighten emotions, and shape Student Identity as if it were an overcoat to be taken on and off whenever cold winds shift. Raise your hand if you think the unit will stress commonalities, not differences. One of my most frequent observations when reviewing planned activities is to recognize all the deliberate encouragement of inapt analogies. Here’s another example from 4th Grade Science: the class examines the weather ‘systems’ and “other systems (e.g. family systems, the school as a system and body systems.” Notice how natural systems that respond based on physical principles, that are not impacted at all by our intentions or understanding of how they work, are being married to social systems that supposedly involve the decisions of free individuals. 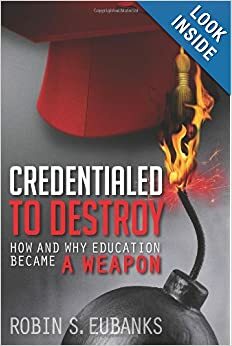 This is a recurring theme and, in my opinion, why ‘systems thinking’ as a required component of Radical Ed Reform goes back decades and is now featured prominently in that July 2014 federal legislation, WIOA, defining workforce readiness for every student in every state in the US. The 4th grade teacher is supposed to “help her students look at it through a conceptual lens, stressing the key concept, ‘system. '” What is ‘it’ referring to there, you ask? Why that would be the goal to have students “generate and test principles that would show the relationship between weather systems and ecosystems in general–and between weather systems and particular elements in ecosystems (animals, plants, rocks, and food chains.) ” As we can see the ecosystem assignment does leave out at this point the most dominant participant in ecosystems–real people–but it does a nice job of completely muddling in the child’s mind physical systems with natural laws and social systems that some people now hope to socially engineer. What nice preparation from an early age to simply accept such plans with nary a second thought. That’s the advantage when K-12 education becomes about creating behaviors through “guided experience.” Where the student is to “understand [in that phronetic sense of the last post] the nature of the discipline in a real world manner” and then “assume a role as a means of studying the discipline.” Common Core would certainly have a greater PR hurdle, wouldn’t it, if it owned up to its real purpose of role playing various future behaviors until “what it feels like” becomes a “habit of mind.” So history, for example, becomes a “means of looking and making sense of the world” so that students can begin “escaping the rut of certainty about knowledge.” There is more in the book involving this Curriculum of Practice that can be used for all coursework that still has a content-oriented name. It is all anything other than the Transmission of Knowledge. That’s what Chamberlain naively thought in 1938 because he lacked Churchill’s deep grounding in actual history of events. Destined to repeat itself is a lousy way to face the future just because it is conducive to social planning and engineering by the politically-connected few against the many. To end with that Civil War quilt I mentioned, an individual interpretation of the scenes depicted on the quilt and whether their “conclusions are well supported in information they had studied” is simply an excuse for All Propaganda All the Time. Now to all this, let’s add on being able to depict any scenario desired in the virtual reality brought in through the laptop or IPad. Will the next generation know anything that is true? 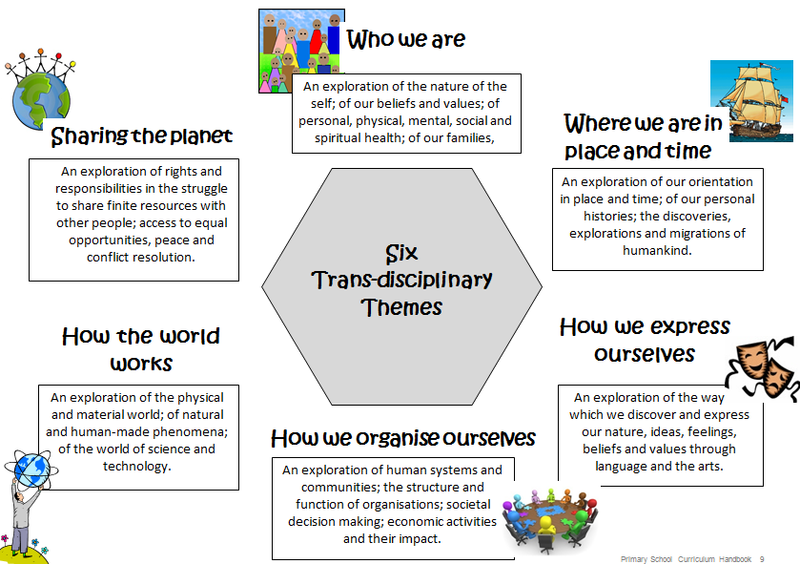 Or will everything be guided by what is influential in building support for fundamental transformations?